Just under a week ago I took part in a performance of J.S. 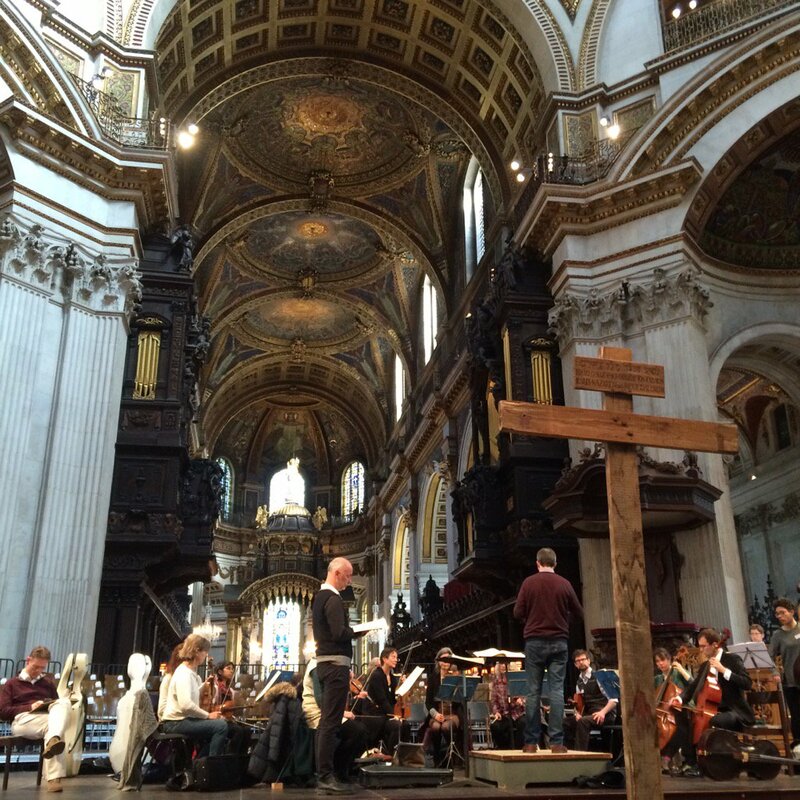 Bach’s St. John Passion at St. Paul’s Cathedral. As befits a building of this scale, the enlarged Cathedral choir were joined by the Cathedral’s Chorus for the choruses. 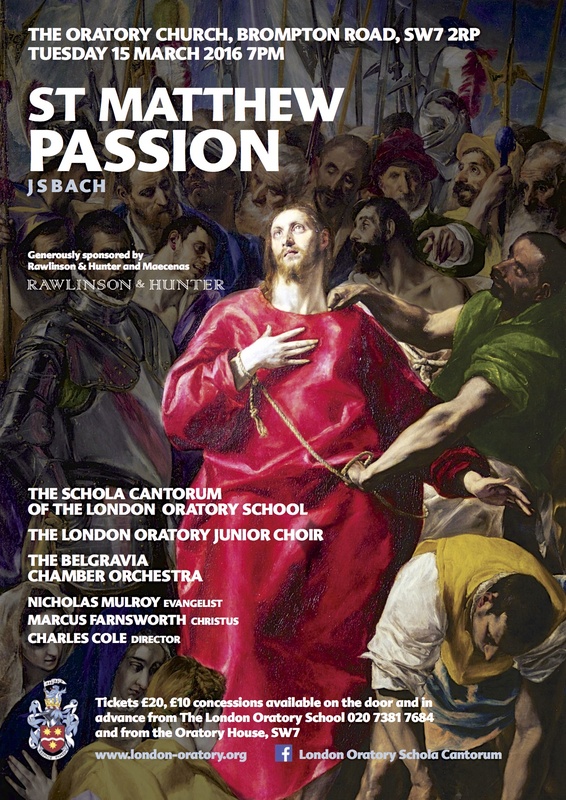 The soprano arias were performed by boy choristers, and the ensemble was directed by Simon Johnson. Without a doubt one of the most extravagant opera productions I have been involved in and it’s still ‘only’ a concert performance: Unsuk Chin’s 2007 opera Alice In Wonderland has just been performed in America and has been brought here to the Barbican for a one-off outing with the BBC. I am appearing with the BBC Singers as the chorus, dressed variously as businessmen, huntsmen and jurors. The last few days of music rehearsals have given us a taste of Unsuk Chin’s texturally opulent score. Yesterday’s technical rehearsal revealed the ambition of Netia Jones’ staging. In the middle of this maelstrom of imagination, design and technical adventure there is a first-rate cast performing (by any standards) difficult music with elan and tremendous wit. The performance will be broadcast on BBC Radio 3 on 11 July. This entry was posted in Concert, Opera, Recording on March 7, 2015 by CheyneyK. Tonight I’m taking part in a special event as part of the Philharmonia’s City of Light: Paris 1900-1950 series at the Royal Festival Hall. I will be singing as, variously, a shepherd, a tree, a frog and a mathematically-challenged child in a semi-staged performance of Ravel’s L’Enfant et les Sortileges. We have spent an intense rehearsal period working with choreographer Quinny Sacks (as well as Aidan Oliver, the chorus master of Philharmonia Voices) to offer appropriate movement in this short one-act music drama. The technology is available to make even a simple staging seem rather sophisticated – although we also have a sequence involving simple paper hats held on with elastic. The music is glorious and, with Chloé Briot perfectly cast as the petulant but ultimately repentant child, a special evening is promised. The Philharmonia are conducted by Esa-Pekka Salonen. This entry was posted in Concert, Opera on February 12, 2015 by CheyneyK. 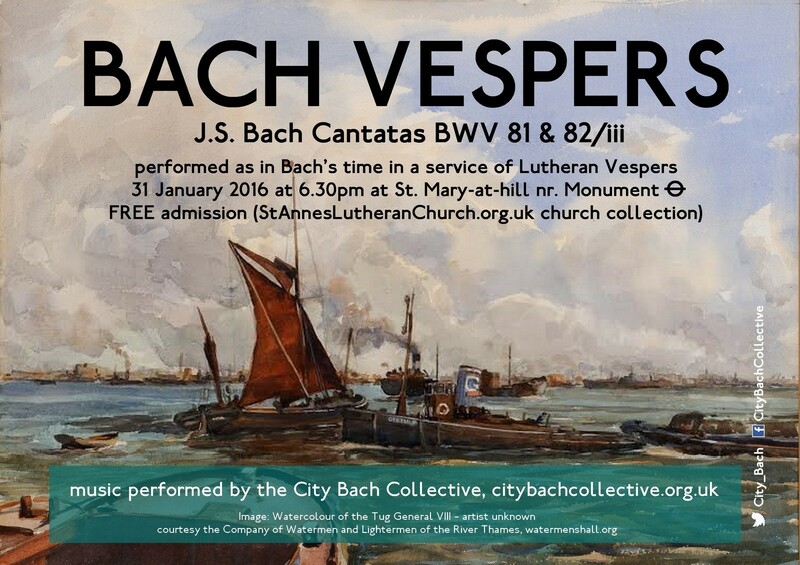 This evening I was involved in the first Bach vespers of 2015 at St. Mary-at-hill. I joined the Sweelinck Ensemble for the familiar cantata-within-the-Lutheran-service, though there is a novelty with the new year as St. Anne’s Music Society has re-named itself as Music-at-hill, to reflect its new home on Lovat Lane. We performed cantata BWV 111, ‘Was mein Gott will, das g’scheh allzeit’ which has a funny, off-kilter Bass aria with continuo. We also performed music by Schein and Zelenka. I have now been performing with the Sweelinck Ensemble under the direction of Martin Knizia (pictured with me, above) for ten years, a valued music-making partnership which continues to pursue the highest standards. This entry was posted in Concert on January 25, 2015 by CheyneyK. In fact, the mask is a useful metaphor for my experience of this performance: the sailors’ chorus in Act 1 lasts for a single page of vocal score after which the chorus can only go home – as we’re not in the hall we can’t ‘stay’ to listen to the rest of the concert. The experience of the performance may seem rather arm’s length, veiled and mysterious, like the nature of the opera itself. This entry was posted in Concert, Opera on November 27, 2014 by CheyneyK.